I can't keep up in the baking dept. around here either ! Hugs to my baby berries from Auntie Queen B.
Oh! Your little strawberry is so sweet. Poor girl with Santa! :) This recipe was so easy. Glad your little guy could do this all by himself! 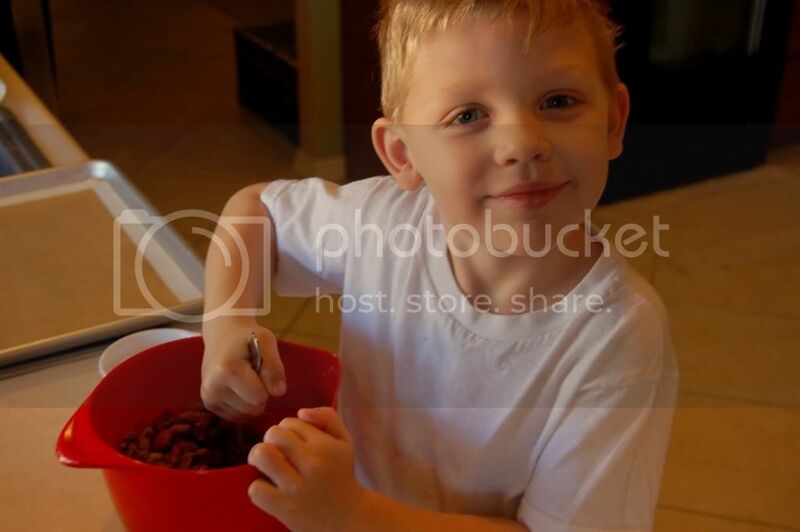 It's a great recipe for a kid to try and I love the versatility! That picture is priceless. Will is so big! My Bosch gets a workout during Christmas time as well, doughnuts, Lion House rolls, pizza dough, and sometimes Christmas cookies. One year David caught me praying over the old one (almost 30 years old and making funny noises.) I told him I didn't know how I could do Christmas food without it. Needless to say, the adult children pooled their money and got me a new one for Christmas! Will looks so grown up!! How great that your little guy could make these himself. I love the Santa picture! 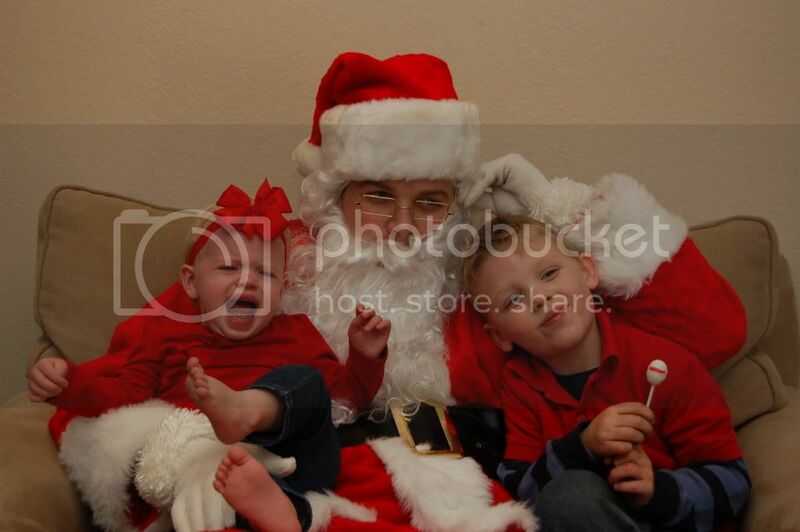 It almost looks like Santa is plugging his ear against your little one's screams. Too cute!! I think that every family has a photo of a kid bawling their little eyes out sitting in Santa's lap:) So sad and pathetic-looking. I use the photo for blackmail purposes, he, he. 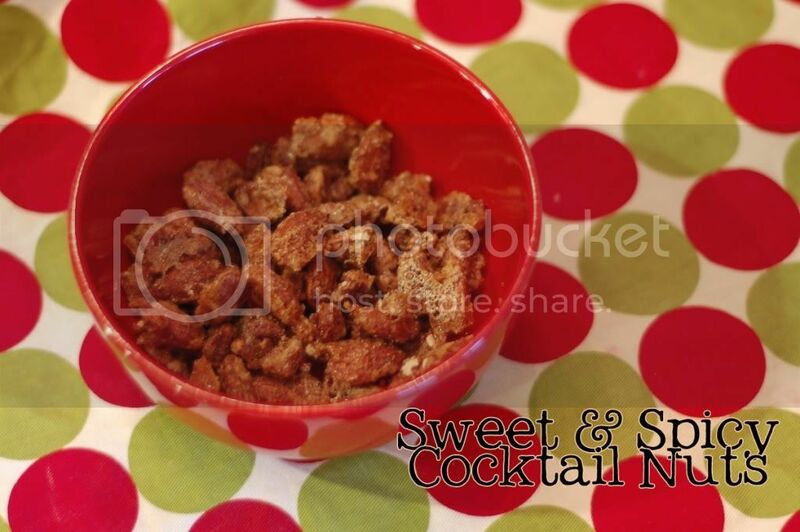 I made the nuts by myself, and I ate them by myself. No regrets. I'll have to make them again, for sure. Your babies are cute, tears or not! Yumm. i am going nuts over this! It sure is a good TV company! These nuts look yummy! And that picture is so funny :) Hope you had a good holiday!